1471 Hammered (4) Including a Henry III short cross penny, RAVF ON SANTA, Rauf at Bury St. Edmunds mint, Henry III long cross penny NICOLE ON CANT, Nicole at Canterbury mint, Edward I long cross penny, London mint, no stops on reverse, and a James I Halfgroat mintmark lis. Possibly some rare classes among them, condition generally around NVF. 1921 Shortcross penny Ar. John. C,1199-1216. HVE ON CANTE (Canterbury). Class 5B. Spinks 1351. Toned and good metal. 1.46g. NVF. 1593 Penny Aethelred II Crux Type EADPOLD MO CAENT Eadwold at Canterbury Mint (B.M.C. IIIa, No.18, N.770, S.1148) VF but a large striking crack which runs across the bust. A few pecks. c.f. SCBI 1 Fitzwilliam, No.651. 1272 Hammered (3) Penny Richard II Type IIIa (Scallop after TAS) S.1695 York Mint GF and scarce, Penny Henry V Class C mullet and broken annulet by crown S.1778 London mint NVF with some cross-ghosting, Halfgroat Edward IV 2nd Reign S.2108 Canterbury mint under Archbishop Bourchier, C on breast, no marks by bust, rose in centre of reverse GF or better with some toning. Scarce. 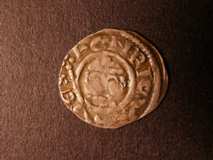 826 Penny Anglo-Saxon. 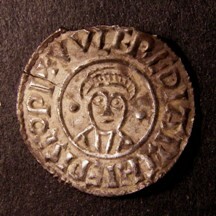 Wulfred Archbishop of Canterbury silver group II, transitional monogram, Obv. facing bust with large pellet each side of face. R. monogram of DOROBERNIA. Moneyer Saeberht. North 240. S.888. Extremely rare. Attractive very fine or better, but with slight chipping to top edge and a stress crack to inner circle. Wavy flan. 737 Hammered (8) includes short cross penny of Henry II class 1b Moneyer Randul on London. Henry III short and long cross Mints of London, Lincoln, Canterbury and Norwich. All very fine or better. 736 Hammered (6) includes Henry III short cross penny moneyer Norman on Bury St Edmunds, Edward I penny York and Canterbury mints, Edward III halfpenny and farthing and a Henry VI halfpenny leaf trefoil issue London mint. Fine to good fine. 1814 Edward I Pennies (21) mint of London, Canterbury, York, Lincoln, Durham, Newcastle and Bristol. Fine to very fine. 1886 Henry VIII (4) Groat 2nd coinage mint mark arrow, old head, no mint mark and mint mark lis, Halfpenny W A by bust, Canterbury mint. All about fine. 1882 Henry III (4) short cross and long cross Pennies, mints of Norwich, Canterbury and London. Fine to very fine. 1823 Edward II Pennies (8) mints include Bury St Edmunds, London, Durham (Bishop Beaumont) and Canterbury. Fine to very fine. 1884 Henry VII (2) Groat facing bust, mint mark escallop . S.2198A. Half-groat facing bust, Canterbury mint, mint mark lis, rosette stops. S.2210. Good fine to very fine. 1867 Half Groat Henry VIII, 2nd coinage, Canterbury Achbishop Warham mint mark cross patonce. S.2343. Very fine. 1879 Hammered (4) John Penny, Ilger on London. Henry III short cross Penny, Tomas on Canterbury. Edward II Farthing and Edward I Penny class 10ab. Fine to good fine. 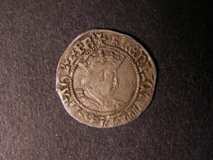 799 Halfgroat Henry VII silver, facing bust, open crown, crosses by neck. R. M in centre, Canterbury mint. Mint mark tun. S.2207. About very fine. 846 Penny Henry III short cross class 6d, moneyer Samuel on Canterbury. Very fine. 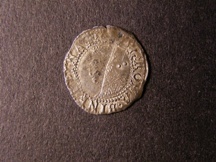 1290 Penny Richard I class 4a. Moneyer Meinir on Canterbury. S.1348A. Fine. 162 Henry III pennies, long cross (10). Includes mints of Wilton, London and Canterbury. Mostly very fine. 116 Edward I pennies (17). Different classes London and Canterbury mints. All fine to very fine. 142 Groats-Penny (8) Groats Henry VI Calais (2), Half Groat Edward I Canterbury & London (2), Pennies (4) Henry III short cross (2), Edward I long cross (2), generally fine, one pierced, one with irregular flan. 150 Halfgroat Henry VII, facing bust, Canterbury mint, class III. Slightly clipped, about very fine. 120 Edward II pennies (3). Different classes, London and Canterbury mints. All fine to very fine. 1340 Edward I silver pennies (7). Bury St Edmunds (2), London (3), York and Canterbury. F-VF.